Abundant flakes like shrimps and mushrooms! "Hey~ what's this?" 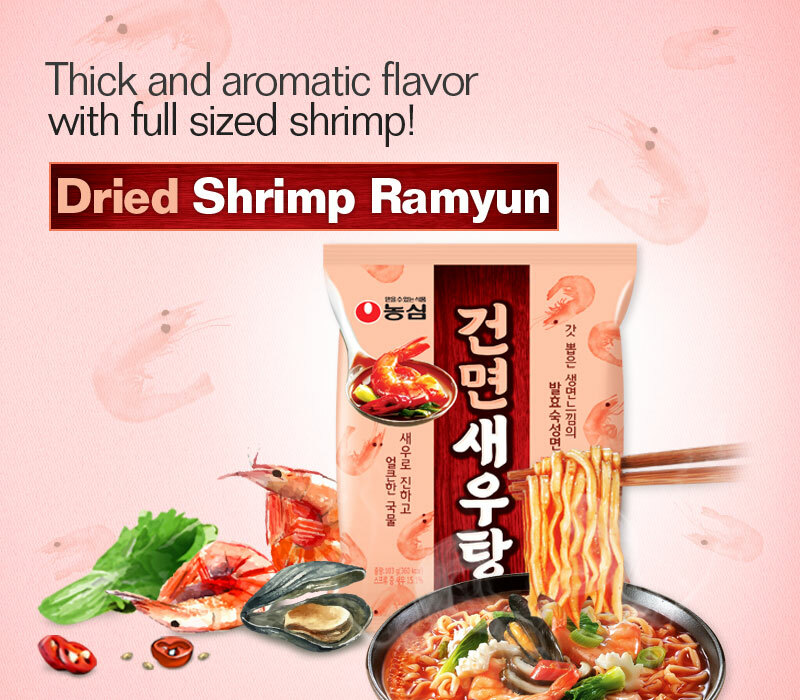 "Dried Shrimp Ramyun????" "Shall we taste the broth?" "Wow, so decadent! Seems like a full-sized shrimp is in the broth!!" 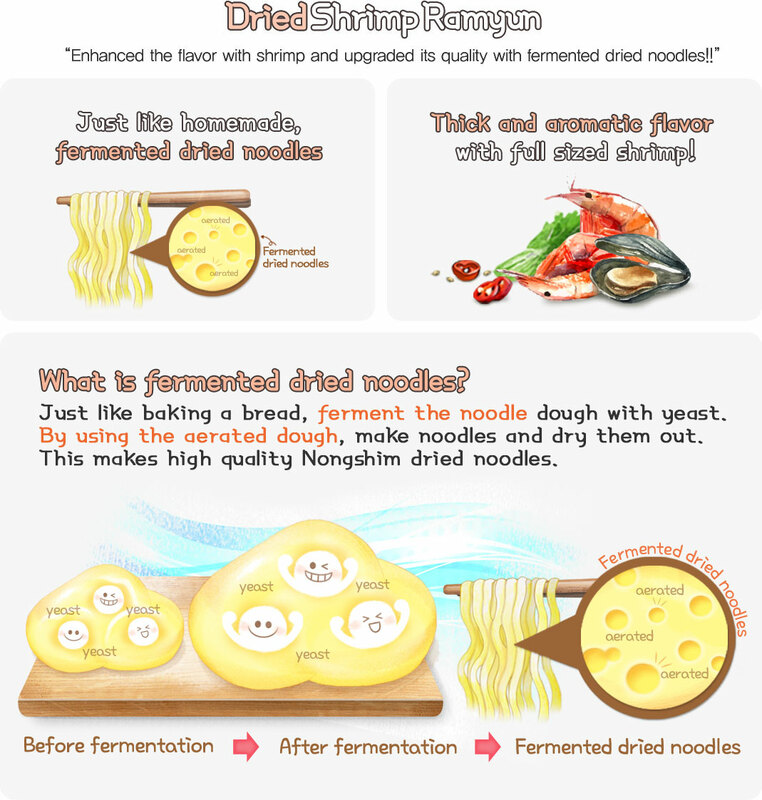 "Wow~ Soup with shrimp broth is always perfect!" 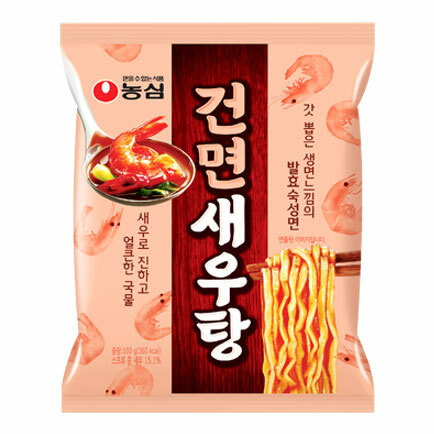 "Shrimp, the thief of soup, Nongshim Dried Shrimp Ramyun"